Hall Of Fame - Shawn Mendes! It's week 8 of hall of fame and it's all about Shawn Mendes! Shawn Mendes is a Canadian sweetheart! The 20 year old singer has been storming the charts since 2013 and has grown a crazy fan base. Mendes grew to fame from the app Vine, where he posted covers of songs to show the world his voice. A year later in 2014, He signed to Island Records after catching the attention of Andrew Gertler. We can't forget that Shawn Mendes also became popular through Magcon, a group of Viners. The singer toured all around the states with the likes of Cameron Dallas, Nash Grier and Jack & Jack before his career really took off! 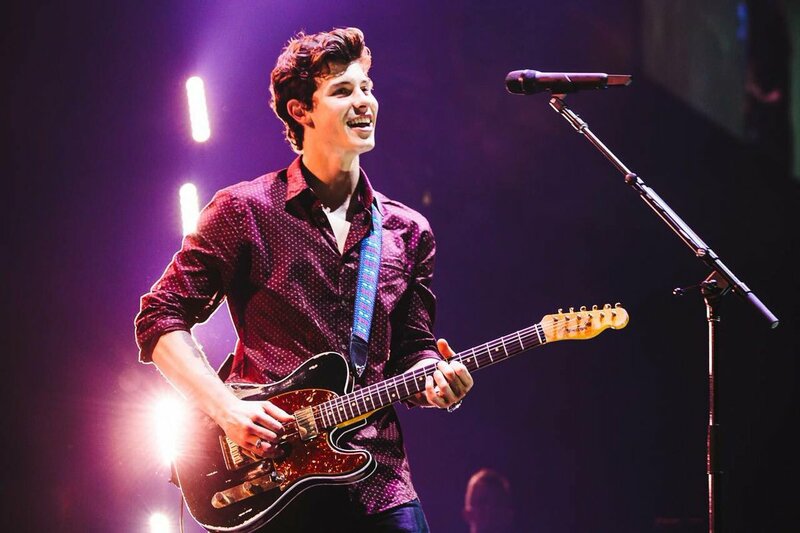 Mendes released his first self-titled EP in 2014 which was then followed by "Handwritten" in 2015, which has the hit single "Stitches" which debuted at number one in the United Kingdom and top 10 in the United States. He only recently released his third self-titled album this year, the single "In My Blood" reached top 10 in several countries! All three of Shawn's albums have debuted in the Billboard 200 and he holds the title for first artist to land four number one singles on the Top 40 before the age of 20! He's toured with three headlines tours, Another beginning in 2019 to perform his most recent album! 1. Shawn Mendes is the youngest artist since Justin Bieber to have a number one album. 2. The Shawn Mendes EP reached number one on iTunes in 37 minutes. 3. He learned how to play piano at 13 from tutorials on Youtube. 4. Austin Malone took Shawn under his wing during his headline tour, he toured nationwide with him. 5. His mother is half English and his dad has Portuguese heritage which is where his last name originated from! Let me know which female you'd like to see next week!